Small, bun-shaped, evergreen shrub in the Hollywood series of hebes. Its main asset is the burgundy purple foliage during the colder months of the year. In the photo of the flowering specimen (taken mid-summer) you can see the foliage colour as it is during the rest of the year. The flower spikes are up to about 5cm long with tiny pink flowers, fading to white with age. Prefers a sunny or partially shaded position in well-draining soil. Tolerates dry conditions once established. 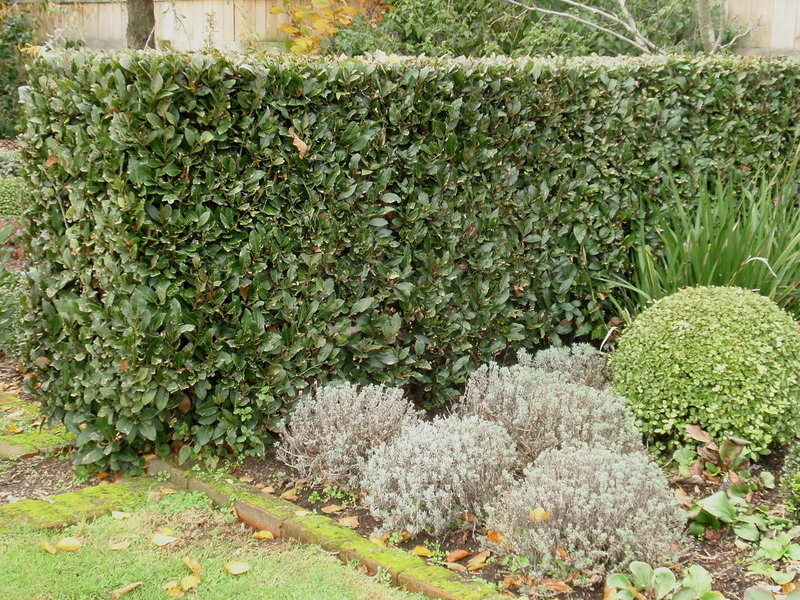 Lightly prune to maintain compactness, but avoid pruning beyond the foliage. Tolerates at least moderate frosts, and is hardy throughout New Zealand. Looks beautiful in combination with Loropetalum chinense 'Burgundy', in particular when you add some lime green foliage to the mix. Happy in containers. Suitable for borders in front of taller growing plants. Small evergreen shrub in the daisy family (Asteraceae), native to Southern Europe. Linear, silvery, curry-scented leaves. Clusters of yellow flower heads during summer. Essential oil extracted from Helichrysum italicum is used for medicinal purposes. Prefers a sunny position in light, well-draining soil, but can cope with semi-shade and somewhat heavier soils. Not tolerant of full shade. Suitable for poor soils. Drought-tolerant once established. Prune once or twice a year to keep compact. Tolerates moderate frosts to about -10oC. The curry scent is very intense, so plant it where you can enjoy the aroma without it overpowering other fragrances in your garden. Helichrysum italicum forms a delicate colour and textural combination with purple sage (see photo gallery). I have used the leaves in cooking, but they did not actually seem to add anything in terms of taste. The flowers retain their colour well after cutting and drying. 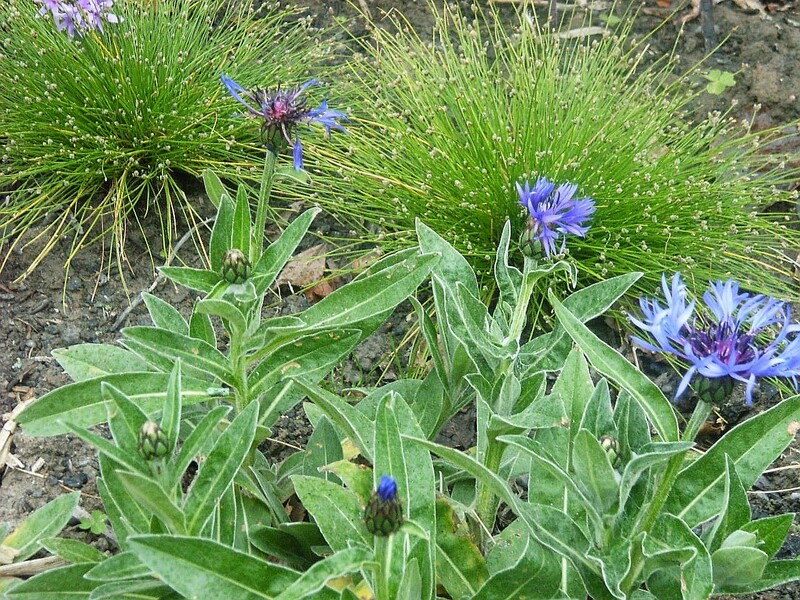 Evergreen, clump-forming perennial native to Corsica and Sardinia. Large, leathery leaves with three toothed leaflets 10-20 cm long and 4-5 cm across. Unlike Helleborus orientalis, Helleborus argutifolius has no basal foliage; the leaves are carried on stout, upright stems. Clusters of bowl-shaped pale green flowers to 5 cm wide, during late winter and early spring. Closely related to Helleborus lividus with which it hybridises freely. Size varies with growing conditions and may also reflect genetic variation. Less frost-hardy than Helleborus orientalis, but tolerates medium frosts. Adaptable to most well-draining soils except heavy clay. Shade tolerant, but flowers best in a sunny position. Shady conditions promote the growth of long, weak stems. Self-seeds easily. Thinning of the seedlings is advisable so that they don't smother the original plant.